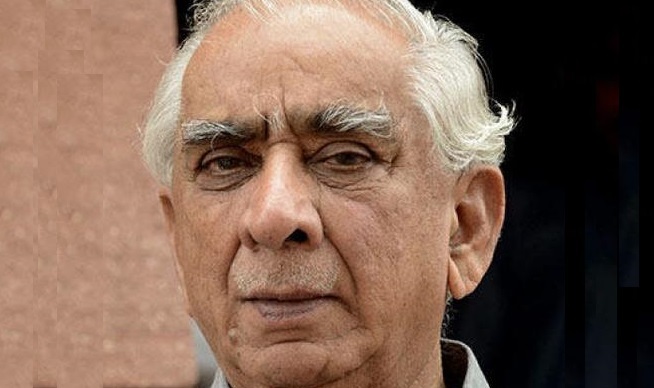 Upset over denial of ticket, former Union Minister and BJP veteran Jaswant Singh on Sunday said he has decided to contest the Lok Sabha elections as an independent from the Barmer seat and will file his nomination papers tomorrow. Jaswant Singh is upset for being denied ticket from the seat. The BJP dumped his candidature and fielded Sonaram from the seat, who had recently joined the party. Jaswant Singh said that he sees a kind of arrogance in the tone of BJP leaders. He added that he was not furniture that he can be shifted from one place to another. The former Minister in the NDA’s Atal Behari Vajpayee government was willing to contest from his home seat of Barmer, saying it would be his last Lok Sabha Election. Earlier, Senior BJP leader Sushma Swaraj made it clear that the decision of not fielding senior leader Jaswant Singh from Barmer constituency of Rajasthan was not taken by the party’s Central Election Committee. Speaking to media in Bhopal Sushma said that she was pained at denial of ticket to the Party veteran. In what could stoke fresh controversy in BJP after the row over L K Advani’s ticket, the party replaced his loyalist and sitting MP Harin Pathak with actor Paresh Rawal from Ahmedabad East Lok Sabha seat. In the list of fresh nine candidates announced on Saturday, Rawal’s name figured for the Ahmedabad East constituency, a seat being earlier considered for Narendra Modi himself.